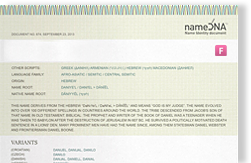 This name derives from the Hebrew “tehillâh" meaning: praise, song or hymn of praise. A) Praise, adoration, thanksgiving (paid to God). B) Act of general or public praise. C) Praise (demanded by qualities or deeds or attributes of God).